Even though it’s only slightly more than 40km east of Kigali, the winding shores of Lake Muhazi see few visitors (and of these, most tend to be locals and expats escaping the city for a weekend), but the region has a laid-back, subtle charm all its own, and with such easy access from Kigali, there’s really no reason not to explore the winding shores and placid waters of Lake Muhazi. Long and shallow, Lake Muhazi twists and turns its way through a flooded valley for more than 40km before reaching its eastern shore, not far from the northern exit of eastern Rwanda’s crown jewel, Akagera National Park. 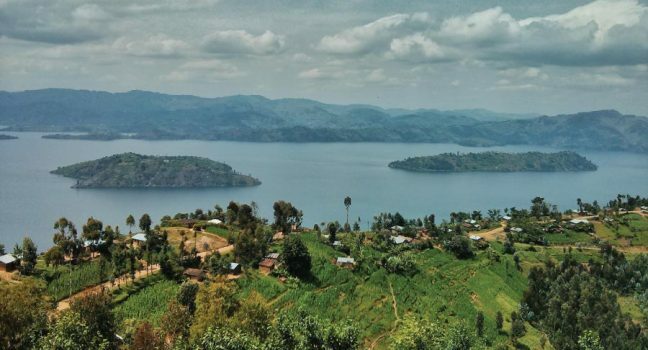 The east end of the lake sits right along the road to Nyagatare, and makes for a perfect place to break the journey for a meal and a cold drink after long hours spent bumping along the park’s dirt roads. If you stick around after your fresh-caught lunch and let the lake breezes guide you, you’ll quickly find that the live music at the lakeside bars, dozens of traditional villages along the shore, and the fantastic birding and fishing on offer will keep you here well longer than expected. All inclusive (Private/Group) and tailor-made for your style. Can leave any day.